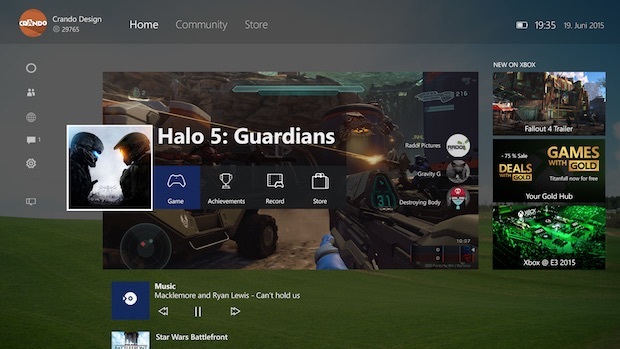 The New Xbox One Experience promises to be a total and complete overhaul of the Xbox One interface, redoing the UI from the ground up to address many of the longstanding faults that have continued to plague Microsoft’s console. It launches later this month, on November 12, and with the launch rapidly approaching, Microsoft are talking it up more and more. In this new video, they show us how a very important component of the Xbox One experience, the Xbox Live Store, has been overhauled and redone. It looks significantly different, and new usability fixes should make it far easier and more intuitive to use as well. Like with the rest of the update, it seems Microsoft really want to make the entire Xbox One UI as quick and painless as they possibly can, instead of constantly throwing it in the user’s face. It’s Windows 10 over Windows 8, to use an analogy.